This is a Korean name; the family name is Uhm. In the stage name or pen-name, the surname is Yoo. 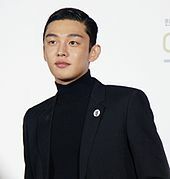 Uhm Hong-sik (born on October 6, 1986), known professionally as Yoo Ah-in, is a South Korean actor, creative director, and gallerist. He is known for playing a diverse spectrum of roles in both television and film, where he often portrays dynamic characters who exhibit significant personal growth. Yoo is best known for his leading roles in coming-of-age film Punch (2011), melodrama Secret Love Affair (2014), action blockbuster Veteran (2015), period drama The Throne (2015), and the historical television series Six Flying Dragons (2015-2016). In 2018, Yoo starred in the mystery-drama film Burning, directed by the acclaimed South Korean auteur Lee Chang-dong. The film received universal acclaim, competing for the Palme d'Or at the 2018 Cannes Film Festival and becoming the first Korean film to make it to the final nine-film shortlist of Best Foreign Language Film at the 91st Academy Awards. For his role as Lee Jong-su, Yoo received international critical acclaim, including being selected for The New York Times' "The Best Actors of 2018" feature, making him the only Asian to be on the list and the first Korean actor to do so. For his works in film and television, Yoo won the Best Actor award at the Blue Dragon Film Awards and Baeksang Arts Awards, respectively. In 2016, he ranked second in Forbes Korea Power Celebrity list. In addition to his film work, Yoo engages in social and artistic activism. He is also known for his politically and socially charged views on his social media account. Yoo Ah-in, whose real name is Uhm Hong-sik, was born in Daegu in southeastern Korea, the youngest of three children. In the first year at Gyeongbuk Arts High School, majoring in fine arts, Yoo was discovered by a casting agent on the streets in front of the school. He traveled to Seoul by himself and began living independently, which he said developed into a personal asset. He was enrolled in Seoul Arts High School, but soon dropped out of school to carry on his broadcast activities. Yoo later entered Dankuk University and Konkuk University, having completed a GED for high school certification. Before debuting, he was once scouted to be a K-Pop idol and trained to sing. Using the stage name Yoo Ah-in, he made his debut in a TV commercial in 2003. His first management wanted to create an attractive stage name for him that fit an idol image because the name Uhm Hong-sik was considered too heavy and old fashioned. He then chose Yoo Ah-in, Ah-in taken from the German word meaning "one". Yoo was then cast in the teen series Sharp 1 after auditioning, playing the role of a model student majoring in painting. After the series aired, Yoo gained popularity and was cast in romance drama April Kiss and one-act drama Shi-eun & Soo-ha. Yoo also appeared in various commercials including school uniforms and youth apparel. During Sharp 1, I had no idea what was happening to me, and I didn’t know how to deal with it, so the popularity didn’t feel like it was mine. Now, I can handle it better. After Sharp 1, I remember thinking that I must not falter and collapse under the situation I was thrust into, and that I had to firmly take a step forward and wait. Resuming his acting career, Yoo starred in low-budget indie film Boys of Tomorrow, taking over the role of a young man Jong-dae, who carries the psychological scars of a traumatic childhood accident. The film premiered at Busan International Film Festival in October 2006, and competed for the Golden Leopard at the 2007 Locarno International Film Festival. He said about the meaning of his first film, "If I have drawn a picture of the actor career, this film must be within that picture." Director Noh Dong-seok met Yoo when he couldn't make up his mind even though he has met several actors interested in the role of Jong-dae. Noh decided to cast Yoo within five minutes of meeting him, saying, "I can't forget the first five minutes I met Yoo at the audition. When I asked other actors about Jong-dae character, they usually answered, 'I think he's going to wear something, have some hairstyle and some kind of personality'. But he stared out the window for a long time, and suddenly said one word as if he choked up slightly, 'It's sad.' At that moment, I thought, 'Jong-dae is him.'" During the film's press junket, Noh said, "In contrast to his noticeably good looks, he was filled with a furious energy. When I hear the word ‘youth,’ I think of Yoo Ah-in. The true main character of this movie, I think, is [not Jong-dae but] Yoo Ah-in." Noh also recalled Yoo's audition in an interview, saying, "I fell for Yoo Ah-in at first sight. Of course, he also had good looks. But he had an extremely different feel from the other actors whom I had met during casting. Yoo Ah-in was nervous when he met me. Before his identity as an actor, he possessed twenty years of his natural self as Yoo Ah-in." Yoo's role as a boy looking for a gun in order to escape from his frustrating reality earned positive reviews, and he won the Best New Actor award at the Busan Film Critics Awards. Yoo then starred in Jeong Yoon-cheol’s black comedy film Skeletons in the Closet, playing the role of a eccentric boy who believes he was a king in previous incarnation. Yoo was nominated at the Blue Dragon Film Awards. In 2008, Yoo starred in historical drama Strongest Chil Woo, playing a cruel but lonely assassin adopted by a nobleman. He gained recognition from critics and viewers for his performance, despite it being the first historical drama for him. He was also featured in Min Kyu-dong’s comedy-drama film Antique, adapted from Yoshinaga Fumi’s manga Antique Bakery. For his role as a patisserie aspirant and former boxer, Yoo took boxing and baking classes. Min purposefully gave Yoo long sets of lines in the film, saying that Yoo already knew exactly how to act with rhythm, "No matter how long his lines were, just one sentence could tell you how good his rhythm was." And, "Most rookie actors wait around for their turn in the script and then get so nervous that they mess up their first lines and everything else completely falls apart, but Yoo Ah-in got it done in one stroke of the knife. That’s why I purposefully gave him long sets of lines. He’s an actor whose talent is most evident in long takes and full shots.” Yoo received the Best New Actor award at the Director's Cut Awards and emerged as one of the most promising actors in Korean film industry. In 2009, he was cast in romance drama He Who Can’t Marry, as cheeky assistant who works at the architectural office, portraying the bright side of being in one's twenties. He next starred in the film Sky and Ocean as a pizza delivery man who strives to make his own livelihood. In 2011, he played a leading role of biracial teenager in the coming-of-age film Punch, a critical and commercial hit. The film premiered at the 2011 Busan International Film Festival, and competed for Crystal Bear at the Berlin International Film Festival. His co-star, veteran actor Kim Yoon-seok praised him that "In the next 10 years, he will be one of the biggest names in Korean cinema." Yoo was nominated at the Buil Film Awards, his first nomination for the Best Actor category. The next year, Yoo starred in drama Fashion King, taking over the role of a self-made but obsessed-with-success fashion businessman. The drama portrays the love and success of young people, but poorly received due to its weak narrative and controversial ending. Still, he described his joining the project as an adventurous and satisfying step as he was able to play a character with worldly desires. Cast as King Sukjong in the 2013 period drama Jang Ok-jung, Living by Love, a revisionist take on infamous royal concubine Jang Hui-bin. Yoo called the role one of the biggest challenges of his career and he garnered favorable press reviews for his mature, charismatic and versatile portrayal of Sukjong. He then played the titular character in the film Tough as Iron, about a Busan pier worker who takes care of his mother afflicted with dementia and kidney disease. Yoo and Tough as Iron co-star, Jung Yu-mi later collaborated again as voice actors in the animated film The Satellite Girl and Milk Cow. In 2015, Yoo starred in two top-grossing films. He played an amoral young millionaire who faces off with a detective in Ryoo Seung-wan's crime thriller/comedy Veteran, and as the tragic Crown Prince Sado in Lee Joon-ik's period drama The Throne. Veteran became one of the highest-grossing films in South Korea and The Throne was South Korea's submission for the Academy Awards for Best Foreign Language Film. For his roles in both Veteran and The Throne, Yoo received Best Actor awards at influential film awards including Blue Dragon Awards, Korean Film Reporters Association Awards, Chunsa Film Art Awards, and Golden Cinematography Awards. The same year, he was named "Actor of the Year" in the 2015 Gallup Korea Survey and ranked number two on Korea Power Celebrity by Forbes. Yoo was then cast in the historical drama Six Flying Dragons, reuniting with Fashion King co-star Shin Se-kyung. The drama occupied the number one ratings slot throughout its run. Yoo's portrayal of ambitious prince Taejong of Joseon won him Best Actor in the TV Category at the Baeksang Arts Awards. Due to his success in both film and television, the entertainment media coined 2015 the "A-in-shi-dae" (Ah-in Era). For his contribution in art, Yoo received the Prime Minister's Commendation at the 7th Korean Popular Culture & Arts Awards in October 2016. In 2017, Yoo starred in fantasy-romance drama Chicago Typewriter. He played double roles of a present-day famous novelist and the leader of a resistance group during the 1930's Japanese occupation of Korea. In 2018, Yoo starred in Lee Chang-dong's film Burning, portraying a pure and sensitive young man, Jong-su, who tries to solve the mystery surrounding the woman he loves. Lee said the reason he cast Yoo, "Yoo Ah-in is one of the most famous Korean actors in that age group, and he's known for being good at delivering emotionally charged performances. In contrast to that, Jong-su is such a passive and shy character who doesn't show his emotions and who doesn't react, so I thought that would be really interesting for this actor to play this role.” Lee then praised, "No one else could inhabit the character of Jong-su like he did. Yoo Ah-in is irreplaceable for this role, he is capable of conveying great nuance and sensitivity." Burning had its premiere at the Cannes Film Festival, where Yoo walked the red carpet. It was selected as the South Korean entry for the Best Foreign Language Film at the 91st Academy Awards, became the first Korean film to make it to the final nine-film shortlist of the Academy Award for Best Foreign Language Film. Yoo's performance was universally acclaimed. Justin Chang of Los Angeles Times said on NPR, "As the movie’s inarticulate male lead, Yoo Ah-in has, in some ways, the trickiest task. But he reaches almost subterranean depths of feeling." Jessica Kiang of The Playlist wrote, "Yoo’s Jong-su is the very definition of still waters that run deep and dark and conceal who knows what in their murky reaches. Only a flawlessly assured performance could make the film’s devastating yet ambivalent and enigmatic finale work as well as it does here." 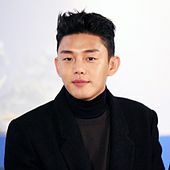 Pierce Conran of Screen Anarchy wrote, "Even more impressive is Yoo Ah-in, who is most well known in the West for playing the slimy son of a corporate head who serves as the villain in Ryoo Seung-wan's Veteran. Never better, Yoo embodies a sense of confusion, which eventually turns to dread in a performance that doesn't allow us to make any easy judgments about his character. Jong-soo's intentions throughout the story may seem innocent, but coupled with references to emasculation and his timid physicality, Yoo crafts an unusually compelling lead." Tim Grierson of Screen Daily wrote, "Ah-in Yoo is remarkable as Burning’s ineffectual, withdrawn protagonist: he’s the perfect vessel for Lee’s grand treatise on the immutable fact that none of us truly understands anyone or anything." For his role in Burning, The New York Times featured Yoo in their list of "The Best Actors of 2018", making him the only Asian to be on the list and the first Korean actor to do so. In November 2018, Yoo starred in the crisis film Default, taking over the role of Yoon Jeong-hak, who bet on the crisis after leaving the securities company and forecasting national bankruptcy. This character gave the impression that "is different from the youth that Yoo Ah-in has represented before", as in, "a person who represents the desire of ordinary people" and "a person who embraces the crossroads of the older and younger generations three-dimensionally." Yoo said he wanted to be "a medium to understand two generations at the same times," and he starred in the film with the thoughts of "how to accept the established system" and "what era we're living in right now." Yoo also said the reasons he participated in this movie were because the movie dealt with the story in "a polite approach," and it was interesting that a female character deals with the country’s major crisis and tries to solve it. In response, co-star Kim Hye-soo described Yoo as "an actor who has healthy mind," and thanked Yoo for his decision to appear in the movie, saying that understanding message of the film and starring in this film is a possible choice because he is Yoo Ah-in. In January 2019, Yoo was featured in Forbes as a star to take note of. Yoo next became the host, co-writer and co-producer for 12 episodes of KBS1 special talk show Do-ol Ah-in Going All Directions with philosopher Do-ol Kim Yong-ok, broadcast from January 5 to March 23, 2019. 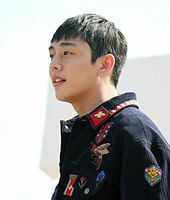 His first take on hosting a talkshow garnered positive press reviews, saying, "he is the only actor who ever tried creating such a platform of communication”, "honestly expressing his beliefs on various topics including gender discrimination", "[h]e met the audience directly with refreshing candor", and "Yoo Ah-in's and Do-ol's open communication method helped narrowing the generation gap." Yoo is the representative, curator, and creative director of Studio Concrete. Operating under the creative direction of popular Korean actor Yoo Ah-in, Studio Concrete is the name of a group of artists born in the 1980s. The creative collective 'Studio Concrete' was established in 2014 by individuals from various artistic and professional backgrounds. Yoo and his friends founded Studio Concrete with the mission of "building a healthy support system for the future generations of creatives." The group is involved in a range of creative projects including planning exhibitions and advertisements, graphic design, product design and art collaborations. Located in Hannam-dong, in a remodeled old townhouse, the group's self-titled atelier functions as a cultural complex and features a gallery, cafe and shop. The space hosts free monthly exhibitions and events that introduce the work of emerging local and international artists. Through Studio Concrete exhibitions, Yoo shows his support for the LGBT community, liberal feminist, Korean Childhood Leukemia Foundation, and other minority groups. In addition to Studio Concrete's annual charity bazaar for children, the art gallery holds new events every month for various groups. From 27 to 30 April 2017, Studio Concrete collaborated with Diesel (brand) for "Make Love Not Walls" Global Campaign in Seoul. From October 12 to 15, 2017, Studio Concrete held a Feminist Book Fair & Discussion. On October 15, 2017, Studio Concrete held a "Drag Queen Dramatic Reading" Event. In September 2018, Studio Concrete produced a short documentary The Interview for Diesel's “Hate Couture” Global Campaign to take a stand against Cyberbullying. Proceeds from the brand's sale will be donated in support of anti-bullying programmes. On October 26, 2018, Studio Concrete collaborated with W Korea magazine for "Breast Cancer Awareness" Campaign. Proceeds from the item's sale will be donated to Korean breast cancer foundation. From January to March 2019, Studio Concrete co-produced 12 episodes of KBS1 special talk show Do-ol Ah-in Going All Directions commemorating 100th Year March First Movement. International artists who have held their solo exhibitions in Studio Concrete are Daniel Caesar, Jean Jullien, Joan Cornellà, and Eric Joyner. In 2013, Yoo donated to a campaign titled "I Am Against The Unfair Food Tray of Children" through The Beautiful Foundation. He had helped The Beautiful Foundation adding 22% to the fundraising goal, thus only 1% to go to reach 350 million Won. The Foundation published his letter encouraging participation, and soon after, the fundraising exceeded its goal. In 2014, Yoo launched a local clothing line named Newkids Nohant to create Hangul-themed T-shirt designs. He then donated the profits worth 100 million won made through the clothing line, opening up the Newkids Yoo Ah In Charity Fund in 2015. The fund will be used to provide aid for college tuition and educational expenses for the students who attend college while living in or after retiring from residential care centers. On April 18, 2014, Yoo quietly joined the Sewol Ferry relief efforts after the Sinking of MV Sewol tragedy, and secretly sent supplies to the family members of missing passengers in Jindo. Since 2015 Yoo and his art gallery Studio Concrete hold the annual charity bazaar to celebrate Children's Day and donate all the proceeds from the bazaar to the Korea Childhood Leukemia Foundation. In 2016, he donated museum tickets worth 40 million Won for underprivileged children. Yoo is the first Asian actor to be the global model of Diesel. In September 2018, Yoo joined Diesel's “Hate Couture” Global Campaign to take a stand against Cyberbullying. Yoo and his artist group Studio Concrete released a short documentary The Interview for the campaign on September 20, 2018. The Interview took the form of a fake documentary rarely seen in the fashion film genre. Yoo took the helm as the creative director and the main character himself. Proceeds from the sale of the brand's pieces will be donated in support of anti-bullying programmes. Yoo has been a supporter of breast cancer awareness campaigns since 2012 through Amore Pacific Group and W Korea Magazine's annual campaign activities, such as "Pink Ribbon Love Marathon" and "Love Your W" campaigns. In January 2017, together with the renown sculptor Osang Gwon, Yoo teamed up to produce a bust-sized cubist sculpture, symbolizing the breast cancer awareness campaign “Love Your W”. On October 26, 2018, Yoo and his artist group Studio Concrete collaborated with W Korea in the 13th annual "Love Your W" campaign by designing a set of special T-shirts, and bringing up the Woman & Beauty theme for a photo exhibition called “Love Your W”. Proceeds from the exhibition were donated to the Korean Breast Cancer Foundation. Considered one of the most outspoken and politically-socially charged Korean actors of his generation, Yoo drew media attention in late 2012 when he tweeted a strongly worded criticism against the withdrawal of Ahn Cheol-soo from the presidential race. He also criticized the age regulation on Lady Gaga's concert in Seoul which were first sold as PG-13 but later on changed to PG-18. On November 19, 2016, Yoo took part in the biggest mass rally calling for president Park Geun-hye's resignation. Yoo identifies himself as a feminist. In February 2016, Yoo's remarks about female film directors while promoting his movie Like for Likes grabbed media attention. Yoo said, "I want to work with a female movie director. When people talk about female directors, they always put 'female' in front of director, even though they don’t put 'male' for male directors. This can mean that women are special, but in reality women often lose out in society because of their gender. I want to lend weight to them and I am also curious about working with them.” Yoo also made a feminist remark about the film, “This film depicts the stereotypical perception of women that is deeply rooted in Korean society. When a man articulates his opinion, he is considered as having self-confidence and cool, but when a woman does the same she is called a very opinionated. This part went straight to my heart.” In February 2017, Yoo stated, "I am also a feminist, since all of us wish for equality. So, whoever wishes for a world where he or she is not marginalized, persecuted, nor hurt because of his or her own attributes—is in fact a feminist by choice." In late 2017, Yoo tweeted a strongly worded criticism against the radical feminist community Megalia, which resulted in accusations that he had made aggressive expressions of a typical patriarchally minded Korean man. Yoo denied the allegation. In March 2018, he posted a short, silent, caption-less clip of some people being tied down and burned to death while the people surrounding them just watching. Netizens quickly assumed that the video pointed towards the Me Too movement in South Korea as a witch-hunt. In the BBC interview, May 2018, Yoo said, "Feminism is the most important human rights movement of today.” And, "There is the structure of ‘men, the discriminator of women’ versus ‘women, the victim.’ We must co-exist in this world, and I believe that the way to do so must be discussed in a less aggressive, more peaceful way.” In his talkshow Do-ol Ah-in Going All Directions, January 2019, Yoo's thought on gender war happening in South Korea and his support for the minorities have drawn media attention, "The rational voice of the weak and the minority have never been accepted much by those with power or vested interests. Considering what causes such aggressive and even violent voices to emerge, I think it's because our society does not yet accept reasonable, honest, and sincere demands. However, if we take a step away from the irrational violent voices, I think we have an opportunity to change society." Yoo is the youngest and only son in the family. He has two elder sisters. In addition to managing Studio Concrete art gallery in Hannam-dong, Yoo had been an investor and business partner of TMI (Too Much Information), a Korean healthy fried food with mushroom-oriented restaurant in Itaewon, Seoul from 2015 to 2017. Yoo was also a freelance writer. He had been the chief editor of Tom Greyhound's fashion magazine Tom Paper from 2014 to 2016, and had contributed several columns for magazines such as InStyle Korea, and Movieweek. The Seoul Poets Association's magazine, Monthly Poetry, praised his writings as "beautiful, clear and clean breath of oneself that different from glamorous life of an actor." His writings were noticed by publishers and professional writers as well. In his spare time, Yoo likes cooking for his acquaintances. In 2017, Yoo revealed that he had a bone tumor, and thus had been delaying his mandatory military service. Yoo's representatives stated that his symptoms were benign, which meant that the non-cancerous tumor would have minimal effect on his everyday life and carry no risk of spreading. On June 27, 2017, Yoo's representatives announced that he had been exempt from military service after failing five medical examinations. Best Couple with Song Joong-ki Won . ^ "유아인, 연예FA 시장 나왔다..올해 마지막 대어". Star News]. December 9, 2013. ^ "유아인, UAA行…송혜교·강동원과 한솥밥". Joynews. 6 January 2014. ^ "BURNING". Festival de Cannes. Retrieved 2019-01-10. ^ Bahr, Lindsey (2018-12-18). "'Roma,' 'Burning' among foreign language Oscar contenders". AP NEWS. Retrieved 2019-01-10. ^ Pond, Steve (2018-12-11). "Will 'The Walking Dead' Alum Steven Yeun Help Land South Korea's First Oscar Nod for 'Burning'?". The Wrap. Retrieved 2019-02-23. ^ Dargis, Manohla (2018-10-25). "Review: In 'Burning,' Love Ignites a Divided World". The New York Times. ISSN 0362-4331. Retrieved 2019-01-10. ^ Scott, A. O.; Morris, Wesley (2018-12-05). "The Best Actors of 2018". The New York Times. ISSN 0362-4331. Retrieved 2019-01-10. ^ MacDonald, Joan. "What Makes Yoo Ah In A Star To Take Note Of?". Forbes. Retrieved 2019-01-10. ^ "유아인, 주민등록증 사진 공개…'17세 미소년 엄홍식'". My Daily (in Korean). 4 November 2011. ^ a b "유아인, 길거리캐스팅으로 데뷔 "어릴때부터 남달라"". Star Today (in Korean). 24 July 2013. ^ ""카메라 돌아갈 땐 모든 걸 포기할 수 있어"". Yonhap News (in Korean). 14 October 2011. ^ "베테랑이 된 유아인, "저 사실 아이돌 준비했어요"". Herald Corporation (in Korean). 31 July 2015. ^ "유아인 "본명 '엄홍식'..너무 구수해서 바꿔"". Star News (in Korean). 24 July 2013. ^ "유아인이 말하는 '엄홍식vs유아인'". SBS (in Korean). 22 October 2013. Retrieved 2016-01-08. ^ a b "고딩얼짱 유아인을 모르면 '간첩'". Sports Seoul (in Korean). 25 March 2004. ^ "유아인 "끊임없이 문제 제기하는 홍벽서, 그게 청춘이죠"". The Dong-a Ilbo (in Korean). 21 October 2010. ^ "'반올림'의 유아인, 김종학 프로덕션의 차세대 주역". Sports Seoul (in Korean). 17 June 2005. ^ "'기대주' 유아인 "이젠 제 사랑 얘기를 하고파"". Sports Dong-a (in Korean). 21 May 2007. ^ "[유아인] 획기적인 소년 ". Cine 21 (in Korean). 29 November 2010. ^ Giammarco, Tom (10 October 2009). "Boys of Tomorrow (2007)". Korean Film Organization. ^ "Child actors who became 'irreplaceable'". The Korea Times. 18 January 2016. ^ "Ten notable flicks at 2006 festival". The Korea Herald. 14 October 2006. ^ "Locarno International Film Festival 2007: line-up". screendaily. 31 July 2007. ^ "'기대주' 유아인 "자유롭게 연기하면서 살고 싶다"". No Cut News (in Korean). 4 May 2007. ^ "<우리에게 내일은 없다> 미리 보기". cine 21 (in Korean). 14 April 2006. ^ Heo, Ji-woong (2006-02-28). "나의 역사에서 길어올린 청춘영화 <우리에게 내일은 없다> 노동석 감독". Film 2.0 (in Korean). Media 2.0 (271). ISSN 1599-1261. ^ ""Boys of Tomorrow" Cranks In". Korean News (in Korean). 25 January 2006. ^ "노동석 감독 "유아인 처음 만나 반했다"". StarNews (in Korean). 4 May 2007. ^ a b "유아인-황보라, 부산영평상 남녀신인상". Starnews (in Korean). 5 October 2007. ^ a b "'좋지 아니한가(家)'는". Munhwa Ilbo (in Korean). 27 February 2007. ^ a b "'최강칠우' 완소자객 흑산이 한국판 조로?". Herald Corporation (in Korean). 21 July 2008. ^ "'소년' 유아인, '최강칠우'서 카리스마 분출". No Cut News (in Korean). 13 May 2008. ^ a b "Pretty boys serve up a musical dramedy". Korea JoongAng Daily. 3 April 2009. ^ "신예배우 유아인, 복서출신 파티쉐 변신‥'몸 만들고 있어요'". Hankyung.com (in Korean). 18 October 2007. ^ "[유아인] "수컷은 되고 싶지 않아요"". Cine 21 (in Korean). 12 November 2008. ^ "Director's Chair:〈서양골동양과자점 앤티크〉민규동 감독". SCREEN (in Korean). Screen M&B. 25 (12): 126–129. 2008-11-21. ISSN 1228-1190. ^ a b Garcia, Cathy Rose A. (10 December 2008). "Ha, Kong Win Director's CUT Awards". The Korea Times. Retrieved 2012-11-18. ^ a b "유아인 "'결못남' 현규의 찌질함, 제 성격 中 한조각이죠"(인터뷰)". 10Asia (in Korean). 13 September 2009. ^ a b "<현장 포토 24시> 하늘과 바다_음악으로 만난 세 남녀, 세상을 향해 희망의 노래를 부르다". Movist (in Korean). 25 April 2009. Retrieved 31 December 2018. ^ a b "Talented Young Hunks Draw Young Female Fans to TV Dramas". The Chosun Ilbo. 1 February 2012. ^ Choi, Ji-eun (12 November 2010). "INTERVIEW: Actor Yoo A-in - Part 1". 10Asia. Retrieved 2012-11-18. ^ Choi, Ji-eun (12 November 2010). "INTERVIEW: Actor Yoo A-in - Part 2". 10Asia. Retrieved 2012-11-18. ^ "'성스' 걸오 유아인에 왜 열광하나". OSEN (in Korean). 29 October 2010. ^ Choi, Ji-eun (5 November 2010). "[INTERVIEW] KBS drama "SungKyunKwan Scandal" writer Kim Tae-heui - Part 1". 10Asia. ^ a b Ki, Sun-min (21 October 2011). "Punch pushes actor into next phase of his career". Korea JoongAng Daily. Retrieved 2012-11-18. ^ "'Punch' lauded as most underrated Korean flick". The Korea Times. 4 February 2015. ^ "부산은 '완득이앓이' 중…'완득이' 예매 4400석 오픈 즉시 매진". Sports Chosun (in Korean). 30 September 2011. ^ "Korean film 'Punch' invited to Berlin Film Festival". The Korea Times. 15 December 2011. ^ a b Do, Je-hae (17 June 2013). "New face of Korean drama: Yoo Ah-in steals show in SBS Jang Ok-Jung, Living by Love". The Korea Times. Retrieved 2013-06-28. ^ a b "부일영화상 치열한 경합". Busan Ilbo (in Korean). 25 September 2012. ^ a b "세계적 디자이너로 성공한 젊은이들의 도전과 사랑". Maeil Shinmun (in Korean). 19 March 2012. ^ Seo, Byung-ki (17 April 2012). "부유하는 청춘… 드라마 '패션왕' 그 뻔뻔함(? )에 대하여". Herald Economy (in Korean). ^ "No Fashion and No King in the Ending of 'Fashion King'". enewsWorld. 23 May 2015. ^ Choi, Jieun (28 May 2012). "유아인 "내가 가진 것들이, 나를 평범하게 만들까봐 불안하다"". Ten Asia (in Korean). ^ a b Kang, Jung-yeon (27 June 2013). "Yu A-in Bids Farewell to Fans of Jang Ok Jeong". 10Asia. Archived from the original on March 28, 2014. Retrieved 2013-06-28. ^ a b "Yu A-in Gets Tough in New Flick". The Chosun Ilbo. 2 October 2013. Retrieved 2014-01-05. ^ a b Conran, Pierce (30 January 2014). "JUNG Yu-Mi and YOO Ah-in Voice New Animation". Korean Film Council. ^ a b "'Elegant Lies' looks at family's ugly truths". Korea JoongAng Daily. 21 February 2014. ^ a b Lee, Jeong-bong (17 March 2014). "The cougar and the pianist". Korea JoongAng Daily. Retrieved 2014-03-18. ^ "Koreans quickly falling in love with 'Secret Love Affair'". Korea JoongAng Daily. 19 March 2014. ^ "'밀회' 유아인 피아노 연주에 스태프가 깜짝 놀란 이유". jTBC News. 13 March 2014. ^ "[2014 결산④] 케이블·종편 드라마의 반란". Dailian (in Korean). December 19, 2014. ^ "['밀회'종영②]김희애·유아인, 캐스팅이 신의 한 수". JoyNews24 (in Korean). May 14, 2014. ^ "박서준vs서강준..유아인 다음 연하남은 누가 될까". Osen (in Korean). May 17, 2014. ^ "'밀회' 유아인, 뭘 믿고 이렇게 연기 잘하나". Newsen (in Korean). April 18, 2014. ^ "'밀회' 유아인, 반항 벗고 순수 입더니 묘해진 남자". Newsen (in Korean). March 27, 2014. ^ "배선영의 터닝포인트, '밀회' 유아인 그는 불륜마저 순수로 만들어버린다". 10 Asia (in Korean). April 3, 2014. ^ Won, Ho-jung (16 September 2015). "Yoo Ah-in's evolution from rebellious teen to tragic crown prince". The Korea Herald. Retrieved 2015-10-06. ^ "Actor Yoo Ah-in had the best year". Korea JoongAng Daily. 26 December 2015. ^ a b Lee, Eun-seon (30 July 2015). "Yoo Ah-in takes turn as a villain". Korea JoongAng Daily. Retrieved 2015-08-06. ^ "Yu A-in Releases Inner Evil in Veteran". The Chosun Ilbo. 29 August 2015. Retrieved 2015-08-29. ^ a b Conran, Pierce (13 May 2014). "YOO Ah-in and MOON Geun-young Confirmed for SADO". Korean Film Council. Retrieved 2014-05-19. ^ Vélez, Diva (September 21, 2015). "Interview: VETERAN Director Ryoo Seung-wan On Action Challenges And Hollywood Influences". Screen Anarchy. ^ "영화 '사도' 이준익 감독 "섬뜩한 송강호, 불안의 미학 유아인" [인터뷰]". SportsQ (in Korean). September 22, 2015. ^ "Yoo Ah-in becomes actor of the year: Gallup". The Chosun Ilbo. 15 December 2015. ^ "Exo and Yoo Ah-in ranked top stars". Korea JoongAng Daily. 26 February 2016. ^ a b "Yoo Ah-in, Shin Se-kyung reunite as lovers in Six Flying Dragons". The Korea Times. 1 October 2015. Retrieved 2015-10-06. ^ Kim, Jae-heun (2 October 2015). "Yoo Ah-in seeks another success". The Korea Times. Retrieved 2015-10-22. ^ "'육룡이' 작가+배우+시청자, 50부작 긴호흡 끌고 온 저력". My Daily (in Korean). 23 March 2016. ^ "Director Lee takes top Baeksang honor". Korea JoongAng Daily. 6 June 2016. ^ "'지금은 아인시대', '베테랑' '사도'에 이어 '육룡이 나르샤'까지! 스크린 브라운관 모두 점령한 유아인". News inside (in Korean). 15 October 2015. ^ a b "'Like for Likes' shows love on social media". The Korea Times. 13 January 2016. ^ Lee, Hyerim (February 3, 2016). "'좋아해줘' 유아인 "페미니즘적 대사, 아주 멋있었다" 만족". Joy News 24 (in Korean). ^ Shin, Jihye (February 27, 2016). "[V Report] Yoo Ah-in 'wants to work with female director'". The Korea Herald. ^ "[어저께V] '명언제조기' 유아인의 진행자 도전기". Osen (in Korean). February 27, 2016. ^ Lee Sang-won (October 25, 2016). "Korean Popular Culture and Arts Awards announces winners". The Korea Herald. ^ a b "Yoo Ah-in lands lead in tvN drama". Korea JoongAng Daily. 22 February 2017. ^ "낭만·아픔·로맨스..유아인, '시카고타자기'의 처음와 끝". OSEN (in Korean). 4 June 2017. ^ a b "Yoo Ah-in joins cast of Lee Chang-dong film". Korea JoongAng Daily. 6 September 2017. ^ Slater-Williams, Josh (January 30, 2019). "Steven Yeun and Lee Chang-dong on thriller Burning". The Skinny. Retrieved March 7, 2019. ^ Brzeski, Patrick (12 October 2018). "Oscars: South Korea's Lee Chang-dong on the Many Mysteries of 'Burning'". Hollywood Reporter. ^ Cronk, Jordan (2018). "Burning (Lee Chang-dong, South Korea) — Special Presentations". Cinema Scope. ^ "'버닝' 이창동 감독 "유아인 캐스팅, 청춘 이미지 때문 NO"". NewsOne (in Korean). 25 May 2018. ^ "이창동 감독 "유아인, 퍼포먼스 없는 캐릭터 잘 살려"". Korea Herald (in Korean). 29 May 2018. ^ "Yoo Ah-in walks red carpet in Cannes". The Korea Herald. 17 May 2018. ^ Roxborough, Scott (7 September 2018). "Oscars: South Korea Selects 'Burning' for Foreign-Language Category". The Hollywood Reporter. ^ "Academy Unveils 2019 Oscar Shortlists". The Hollywood Reporter. 17 December 2018. ^ "Inside This Deceptively Simple Story Lurks A 'Burning' Psychological Thriller". NPR. 6 November 2018. ^ "The Best Performances of 2018". The Playlist. 20 December 2018. ^ "Review: BURNING, a Thriller Like No Other". Screen Anarchy. 25 October 2018. ^ "'Burning': Cannes Review". Screen Daily. 17 May 2018. ^ "The Best Actors of 2018". The New York Times. 5 December 2018. ^ "유아인답다는 것" (in Korean). Woman Donga. January 1, 2019. ^ a b c d "유아인 "세대와 세대를 연결하는 매개체 되고 싶어"" (in Korean). Edaily. December 13, 2018. ^ a b "유아인, "제 인생의 키워드는 균형"" (in Korean). Seoul Economy. December 19, 2018. ^ "'국가부도의 날' 유아인이 빠져든 언어의 섬" (in Korean). Sports Today. November 23, 2018. ^ "유아인 "'국가부도의 날' 여성이 이끌어서 선택..조화 추구"" (in Korean). Starnews. November 21, 2018. ^ "'국가부도의 날' 김혜수 "유아인, 정신 건강한 배우…다음에 또 함께하고파"" (in Korean). Mydaily. November 13, 2018. ^ "김혜수 "유아인, 男배우 중심作 많음에도 우리 영화 택해줘, 고맙다"" (in Korean). Sports Chosun. November 23, 2018. ^ "김혜수 "유아인, 성장 과정에 뿌듯해…잠재력 기대되는 배우"" (in Korean). Sports Seoul. November 23, 2018. ^ "도올과 유아인의 만남, KBS '도올아인 오방간다'". KBS Media (in Korean). 28 November 2018. ^ "도올아인 오방간다". KBS Program (in Korean). ^ a b "도올 김용옥·유아인 조화, 어떨까…'도올아인 오방간다'" (in Korean). 3 January 2019. ^ "…청춘스타→'도올아인 오방간다'..기인 유아인이 끌리는 이유[★FOCUS]". StarNews (in Korean). January 13, 2019. ^ "…[팝업★]"약자의 목소리 수용돼야"..유아인이 만들어가는 소통의 시작점". The Herald Pop (in Korean). January 20, 2019. ^ "…'도올아인 오방간다' 배우 유아인만? 인간 유아인도 좋은 이유". Osen (in Korean). January 20, 2019. ^ "…유아인•김용옥, 세대차 좁힌 '레알' 소통의 힘['도올아인 오방간다' 종영]". MBN (in Korean). March 23, 2019. ^ Kim, Hyun-jong (March 24, 2019). "4.3생존수형인들 4.3추념식서 해원의 퍼포먼스". Jeju Ilbo (in Korean). Retrieved March 28, 2019. ^ Park, Mi-ra (April 3, 2019). "…['제주 4·3' 71주년 추념식]"자주·독립' 두 글자에 4·3정신 깃들어있다"". Kyunghyang Shinbun (in Korean). Retrieved April 6, 2019. ^ Lee-seul (April 3, 2019). "유아인 "제주 4.3 사건, 부끄럽게도 잘 몰랐다…꼭 기억해야 할 역사"". Sports Hankook (in Korean). Retrieved April 6, 2019. ^ ""부끄럽고 죄송" 이효리→유아인, 제주 4•3사건 향한 뭉클한 진심[이슈와치]". Newsen (in Korean). April 3, 2019. Retrieved April 6, 2019. ^ "Studio Concrete: Showcasing the work of Seoul's emerging artists". Here Now. 24 March 2017. ^ Petrarca, Emilia (24 October 2016). "Studio Concrete Sets Out to Be the K-Pop Group Equivalent of the Art World". W Magazine. ^ a b "Yoo Ah-in to hold charity bazaar to celebrate Children's Day". Asia Today. 6 May 2015. ^ "디젤X스튜디오 콘크리트, 특별 '컬래버 전시회' 진행". News One (in Korean). 24 April 2017. ^ "하이파이브!". For Freckles (in Korean). ^ ""꼭 정해진 성별로만 살아야 하나요?" 여장남자 '드랙퀸' 이야기". Wikitree (in Korean). 11 November 2017. ^ a b Berezhna, Victoria (September 19, 2018). "Diesel Campaign Takes Stand on Bullying". Business of Fashion. ^ a b "유아인, 크리에이티브 디렉터 변신…다큐 콘텐츠 '더 인터뷰' 제작". Hankook Ilbo (in Korean). September 29, 2018. ^ Lee, Dahye (September 29, 2018). "유아인, 배우 겸 아티스트로 '더 인터뷰' 제작 참여 "긍정적 영향력 미칠 것"". Asia Today (in Korean). ^ "2018 Love Your W 1부 Vol.1". W Korea (in Korean). 20 November 2018. ^ "New series for the show LineAge at Studio Concrete". Jean Jullien. ^ "Joan Cornellà Shakes up South Korea With His Cynical Artworks". Hypebeast. 6 April 2018. ^ "Eric Joyner Places His Doughnut-Loving Robot Muses in Fantastic New Settings". LA Weekly. 22 June 2018. ^ "Studio Concrete: Projects". Studio Concrete. ^ "'아름다운' 유아인 7700만원 기부…소신 글 '감동'". News1 Korea (in Korean). 30 January 2013. ^ "Creative industry helps Hangul spread". Korea JoongAng Daily. 27 May 2014. ^ "배우 유아인, 소외계층 아동·청소년 위해 1억원 기금 마련". Kyunghyang (in Korean). 13 January 2015. ^ "유아인, 아동청소년위해 1억원 기금 개설 "통큰 기부"". Asia Today (in Korean). 13 January 2015. ^ "송혜교 강동원 유아인 소속사 UAA, 세월호 구호 손길 동참". Ten Asia (in Korean). 21 April 2014. ^ "Yoo Ah-in sends kids to museum". Korea Joongang Daily. 3 December 2016. ^ "유아인 선행 끝없다, 4000만원 상당 전시티켓 기부". Korea Star Daily News. 2 December 2016. ^ "DIESEL隆重宣布刘亚仁为全球形象代言人". Vogue China (in Chinese). September 11, 2018. ^ "2015 핑크리본 사랑마라톤 in 부산, 유아인 and 임지연". Toodur2 Tistory. 26 April 2015. ^ "Me, Myself and I". W Korea (in Korean). 1 January 2017. ^ Tay, Kim (21 November 2016). "An Interview with Osang Gwon". The Artling. ^ "2018 Love Your W 1부 Vol.1". W Korea. 20 November 2018. ^ Lee, Chul-ho (28 November 2012). "Where is Ahn Cheol-soo?". Korea JoongAng Daily. Archived from the original on 27 January 2013. Retrieved 2012-12-13. ^ Lee, Tae-ho (27 December 2012). "Feature: Korean Celebs More Willing to Speak out Their Views". 10Asia. Archived from the original on March 28, 2014. Retrieved 2012-12-27. ^ "Actor Yoo posts controversial comments on Twitter". The Korea Times. 6 June 2012. ^ "레이디 가가". Ten Asia. 6 April 2012. ^ "[현장포토] "현실은, 어이가 없다"…유아인, 촛불 밝힌". Dispatch Korea (in Korean). 19 November 2016. ^ Hwang, Sunwoo (21 February 2017). "[March] Sweet Dreams (유아인)". W Korea (in Korean). ^ Kang, Haeryun (2017-11-27). "The Latest in S. Korean Feminism: Zucchinis". Korea Expose. Retrieved 2018-12-27. ^ Yoon, Minsik. "Yoo Ah-in moves to end 'gender bashing' dispute with netizens". Korea Herald. ^ "Yoo Ah-in Supports Feminism During Interview With BBC". Hancinema. 2018-05-20. ^ Jeong, Eunhye (2018-05-20). "유아인, BBC 인터뷰서 "페미니즘은 중요한 운동" 애호박 설전 언급". Joongang Daily (in Korean). Retrieved 2018-12-27. ^ Jo, Yeoneul (2017-12-06). "Writer Lee Seon-ok Defends Yoo Ah-in". Hancinema. Retrieved 2018-12-27. ^ Lee, Lily (2018-03-11). "[Lily's Take] Jung Il-woo and Yoo Ah-in's SNS Posts for Jo Min-ki Anger Netizens". Hancinema. Retrieved 2018-12-27. ^ Ryall, Julian (12 March 2018). "South Korean actor's suicide triggers backlash against #MeToo". The Telegraph. Retrieved 4 April 2018. ^ Lee, Woongbi (2018-05-21). "BBC 유아인 영상 인터뷰 전문: 대중, 논란, 책임" (in Korean). BBC Korea. ^ Yoon, Minsik (2018-05-22). "New form of scarlet letter in Korean entertainment scene". Korea Herald. ^ Lee, Claire (November 18, 2018). "'Isu station' assault case triggers online gender war in South Korea". Korea Herald. ^ "[팝업★]"약자의 목소리 수용돼야"..유아인이 만들어가는 소통의 시작점" (in Korean). Korea Herald. January 20, 2019. ^ "스타들의 비즈니스 – 국내 편". Vogue Korea (in Korean). September 14, 2017. ^ "[스타포커스] 유아인, 그가 하는 모든 건 신드롬이 된다". Top Star News (in Korean). April 3, 2017. ^ Lee, Choong-Jae (2016-01-01). "Face 이달의 인물 : 시 쓰는 배우, 30세 유아인". Montly Poetry (in Korean). Culture Power Plant (24): 4–6. ISSN 2288-7040. ^ "시 전문지 '월간 시' 배우 유아인 시인이라며 특집기사 마련". Break News (in Korean). January 21, 2016. ^ ""잡으면 대박"… 유느님 파워 출판가에서도 통한다". dongA (in Korean). May 30, 2016. ^ "MBC 작가 "유아인 글, 봤습니까?"". SBS CNBC (in Korean). February 22, 2016. ^ "[집중탐구 더 스타-유아인④] 전복죽 직접 끓여 먹는 '요섹남'". OBS (in Korean). October 5, 2015. ^ "'런닝맨' 유아인, 반전 요리 실력 뽐내며 '최종 우승'". Review Star (in Korean). September 23, 2013. ^ "Yoo Ah-in suffering from benign bone tumor". Korea JoongAng Daily. 17 February 2017. ^ "Actor Yoo Ah-in Exempt from Military Service". The Chosun Ilbo. 28 June 2017. ^ "YOO Ah-in and Vincent Cassel Join SOVEREIGN DEFAULT". Korean Film Biz Zone. 7 December 2017. ^ "'연애의 발견' 특급 카메오 유아인, 정유미에게 한다는 말이…'대박'". Ilgan Sports (in Korean). 8 October 2014. ^ "Yoo Ah-in gets 'Descendants of the Sun' role". The Korea Times. 1 April 2016. ^ "<론치 마이 라이프>, 아인 씨는 죄가 없습니다". TenAsia (in Korean). 11 April 2011. ^ "KBS 광주 보도특집 '다문화 청소년 보고서'". Yonhap News Agency (in Korean). 24 December 2004. ^ "[리뷰] 87세대...촛불세대 그리고 유아인 '6월 이야기'". Single List (in Korean). 11 June 2017. ^ "유아인, SBS 특집다큐 '시리아의 목격자들' 내레이션". JoongAng Ilbo (in Korean). 24 May 2018. ^ "도올 김용옥·유아인 조화, 어떨까…'도올아인 오방간다'". Newsis (in Korean). ^ "유아인, 뮤직비디오에서도 그림 그린다". YP News (in Korean). 18 October 2004. ^ Lee, Hye-ji (19 July 2012). "BoA partners with Yoo Ah-in in Only One music video". 10Asia. Retrieved 2012-11-18. ^ "Yoo Ah-in reinterprets Korean folklore through visual art". Kpop Herald. 16 March 2016. ^ "육룡 유아인 넷마블 게임 모델 "신선했다"". Asiae (in Korean). March 8, 2016. ^ "넷마블게임즈, 유아인 앞세워 역할수행게임 '콘' 바람몰이". Business Sport (in Korean). March 30, 2016. ^ "[★포토]유아인, '더욱 열심히 할께요!'". Star News (in Korean). 31 December 2007. ^ "장혁-유아인-무도, 올해 최고의 남자 선정". My Daily (in Korean). 30 November 2010. ^ Cho, Bum-ja (3 January 2011). "Jang Hyuk scores top prize at KBS Drama Awards". 10Asia. Retrieved 2014-09-06. ^ "유아인, 핫20's보이스상 수상…"20대 대변하겠다"". Hankyung Ilbo (in Korean). 7 January 2011. ^ "Who Took Home a Prize at the Style Icon Awards?". enewsWorld. 4 November 2011. Archived from the original on 1 February 2016. ^ "[포토]영화기자들의 잔치 `제3회 올해의 영화상` 개최". edaily (in Korean). 31 January 2012. ^ Lee, Nancy (8 June 2012). "20's Choice Awards Nominees Announced, Voting Open". enewsWorld. Retrieved 2012-11-18. ^ "작지만, 작지 않은 세상의 불 밝힌 아름다운 시상". Eco Media (in Korean). 13 December 2013. ^ "SBS Drama Awards 2013 Nominees". Hancinema. 24 December 2013. Retrieved 2013-12-24. ^ Hicap, Jonathan M. (30 April 2014). "Nominees in 50th Baeksang Art Awards revealed". Manila Bulletin. Archived from the original on May 4, 2014. Retrieved 2014-05-04. ^ "유아인 "아직 아시아에서 대단한 스타는 아냐"". JoongAng Ilbo (in Korean). 6 October 2015. ^ "유아인·박보영·변요한, 청소년이 뽑은 인기영화인 등극". Sports World (in Korean). 22 October 2015. ^ "'Veteran' actors Hwang Jung-min and Yoo Ah-in vie for Best Actor". Kpop Herald. 17 November 2015. ^ "Stars Come Together for Annual Blue Dragon Awards". The Chosun Ilbo. 27 November 2015. Retrieved 2015-12-08. ^ "유아인 크리스탈, 2015 패셔니스타 어워즈 수상 소감 "행복합니다"". Sports Chosun (in Korean). 7 December 2015. ^ "'대세 아이콘' 유아인, 제10회 에이어워드서 '스타일' 부문 수상". The Star (in Korean). 30 November 2015. ^ "유아인, 예술인상 수상 "자랑스러운 후배 배우 될 것"". My Daily (in Korean). 8 December 2015. ^ "올해의 배우". Cine21 (in Korean). 25 December 2015. ^ "제 4회'2015 CFDK 어워드 '패션 아이콘상' 공효진-유아인 수상". New Daily (in Korean). 21 December 2015. ^ "LEE Byung-hun, YOO Ah-in and HAN Hyo-joo Take Top Star Awards". Korean Film Council. 30 December 2015. ^ "'2015 SBS 연기대상' 유아인 3관왕, 개념 소감 눈길 "괴물 같아지는 순간 이겨낼 것"". ET News (in Korean). 1 January 2016. ^ "'The Throne' picked as best film of 2015 by Korean film reporters". Yonhap News. 21 January 2016. ^ "'베테랑', 관객이 뽑은 최고의 영화상..'4관왕' 싹쓸이[종합]". Osen (in Korean). 25 February 2016. ^ "G-Dragon, Park Bo-gum, Girls' Generation and Song Joong-ki picked as style icons". The Korea Herald. 13 March 2016. ^ "Behind cuts of Yoo Ah In from 'Asian Film Awards' unleashed". Star N News. ^ "유아인·김혜수, 춘사영화상 주연상". 10Asia (in Korean). 5 April 2016. ^ "Yoo Ah-in, Hoya win at 36th Golden Cinema Film Festival". Manila Bulletin. 30 May 2016. ^ "52nd Baeksang Arts Awards". 52nd Paeksang Arts Awards. ^ "Korean Popular Culture and Arts Awards announces winners". Kpop Herald. ^ "Yoo Ah-in, Jun Ji-hyun most popular Korean actors with teens". The Korea Herald. 17 October 2016. ^ "패션사진전 <This is fashion photography> - 화려했던 패션사진가의 밤". CKCI Official Blog (in Korean). Canon Korea Consumer Imaging. 18 December 2017. ^ "'제2회 더 서울어워즈' 10월27일 개최, 드라마-영화 각 부문별 후보공개". iMBC (in Korean). 28 September 2018. ^ "13 Great Movie Performances From 2018". Esquire Magazine. December 27, 2018. ^ "2019 ICS Award Nominees". International Cinephile Society. January 20, 2019. ^ Chow, Vivienne (March 17, 2019). "'Shoplifters' Wins Best Picture at Asian Film Awards". Variety. Retrieved March 17, 2019. ^ "'백상', 영화 부문 후보 명단…"류승룡, 유아인, 주지훈"". Dispatch (in Korean). April 5, 2019. Retrieved April 5, 2019. Wikimedia Commons has media related to Yoo Ah-In.